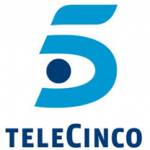 TELECINCO – was formed on March 10, 1989 and began test broadcasts in the March 1990. The channel began broadcasts with digital technology on April 3, 2002, and since then broadcast in simulcast. The main line of activity of the Group CHANNEL is the exploitation of advertising space on the television channel that operates. Since the beginning of its operations has maintained a formal separation between the activity television, developed by TELECINCO as a direct dealer, and the exploitation of advertising space, which carries out the subsidiary Publiespaña. Until March 2004, and TELECINCO Publiespaña were owned by the same partners and in the same proportion. In March 2004 saw the integration of Publiespaña in TELECINCO through a capital increase of TELECINCO, signed by its partners through the provision of the shares of Publiespaña. In 1997 Silvio Berlusconi’s Mediaset acquired most of shares in Telecinco. Gestevisión Telecinco was listed on the stock exchange on 24 June 2004.